I highly recommend Gina as a relator! Gina and Wes make a great team, are extremely considerate about your interest and are honest and forthright in their opinions. They are very knowledgeable, professional and personable. She listed and sold our house and helped us find and buy our dream lake house. She was everything we needed and more. Gina was great, she was always there to help us through the home buying process. She responds quickly to questions and concerns. She was knowledgeable about the area, honest about the homes we were viewing. If you are looking for a realtor in the area definitely contact Gina, she’s the best! We were very happy with the way Gina handled our sale. And you can't beat having an offer in less than two weeks! If we were in need of a realtor again in the Lebanon area, we would definitely go to Gina first. ~ Sandy & Norm L.
"Gina Wentworth sold our home faster than we expected! It was on the market for 2 days when we received many offers and had a contract within that week! She provided good advice for how much we should invest in preparing our home for sale and also provided us with recent local house sales/comparisons to help us make an educated decision for setting the price. She was very responsive to our phone calls and emails and we always felt that she had our best interest in mind. Her knowledge of the area is a real bonus! Selling a house can be stressful, but Gina really made it seem easy! Thanks, Gina!!" Gina was very helpful throughout the process and always quick to return our calls or answer any questions we had. Her local knowledge was essential in a small town setting. I would like to thank Gina Wentworth of Lebanon Green Real Estate for her professional manner in dealing with both selling our home and finding a home we can be happy in. Every step of the way she was helpful and patient with our needs and desires. Her knowledge and skill were greatly appreciated but her sweet ways and good humor made her a friend I will cherish. I would highly recommend her to anyone who may be in need assistance in selling our buying a home. ~ Pete & Sandy D.
"In 2017, after 40 years of owning my beloved home and farm, I made the difficult decision to sell and move on. Gina Wentworth was a very very useful and supportive aid to this process. She and her husband Wes provided clear direction and delivered truthful guidance to me in my decision-making. Selling is a very intense and emotional process for many and I would put myself at the top of this category. I kept coming back to them when I needed guidance and support and they never seem to get tired of how challenging the process was for me. We were successful at finding the right buyer at the right price and with the conditions that I needed in place. Big thanks to them!" Gina Russo Wentworth is the quintessential realtor/broker and her firm Lebanon Green Realty brought a wealth of local and professional knowledge to the table. I am very pleased. Her write-up of our property was so good it would make me want it if I'd not already owned it. Pictures were very professional, she was very available and responsive to our needs. She was very patient with my myriad of questions and was helpful in guiding us through the process. Our home was under contract within 72 hours of the listing, my head is still spinning as I sit in my new home in Florida. She has the listing for the acreage we want to sell. You will not go wrong if you choose to use Gina! ~ Cheryl & Bob A.
Gina made the experience of selling our home comfortable. She is respectful, timely, attentive to detail and a good negotiator. As a life-long resident of Lebanon, Gina has exceptional knowledge of this great home town. We highly recommend Gina Russo Wentworth as a Real Estate Professional. "Gina is a wonderful person to work with. She was very helpful and provided assistance from start to finish. She was quick to respond to any questions or concerns we had. We were very pleased with our experience with Gina and would highly recommend her." Linda F.
Gina was a true professional. She helped make a difficult sale easy. She stuck with the details of handling every issue that popped up, overcoming and resolving each one until the problem was solved. Very happy that we chose her. Highly likely to recommend, 5 STAR! Selling our home of 65 years was not easy. The property had unique natural features like wildlife and organic gardens, a showcase of tree species, and wild forage plants. Gina was sensitive to our hope that a buyer would "get" these unique aspects as well as love the house itself! We are delighted that she found the perfect buyer! It was like magic. We thank her, and recommend her wholeheartedly. She really knows the area, and also closed within the window we had hoped, managing all details diligently. We would highly recommend Gina to anyone looking to sell or purchase a home. She handled every detail of the sale very efficiently, and we felt comfortable working with someone who knows the local market. Gina kept us informed throughout the sale with information or questions from the buyer and his agent, as well as the attorneys. She was very quick to respond to our inquiries or to share information with us, even while she was away on a family vacation. The inspections were done and results shared in a timely fashion as well. Her participation made the process move quickly and the outcome was excellent for us. Thanks, Gina! ~ Frank & Mary R.
When my husband and I began our search for our dream home we were a little lost, to say the least, after seeing a quite a few houses that were just... well terrible. We had met with a few other realtors who seemed very eager to tell us whatever was needed to get us to buy. We are young and new to the process, we were in desperate need of someone who understood us and would be a partner with us to help us find our home. Gina's kind and easy going manor made us feel comfortable and she really understood what we were looking for in a home. She was always reachable by either phone or email to answer our plentiful questions and helped calm our nerves throughout the home buying process. We were excited to work with someone who lived in the area we were looking to buy in and really knew the town well. Now we are almost neighbors! I would highly recommend Gina as a realtor for anyone looking in the Lebanon area. Gina was great to deal with. She gave an honest opinion on what we should list at and we went under contract in about a week. Gina knew how to market our property and we will use her in the future. Because I had never sold a house before, I felt that Gina Wentworth was very helpful in guiding me through the whole process. She did a great job with photos and info online and knows the area very well and what to expect in that area. A difficult thing to go through was made easier and less stressful by her expertise. I retained Gina as a buyer's agent to help me purchase a home in Lebanon. Because I live out of state, I was dependent upon Gina to help me understand the local real estate market. Gina was excellent. All of her recommendations turned out to be right on the mark, including what I could get within my price range, how much to offer once we identified a potential home, and how to respond during negotiations. She also provided excellent recommendations for companies to use for various inspections once the home was under contract. Gina guided me through the process from start to finish; she was extremely knowledgeable, and incredibly responsive. I would highly recommend Gina to anyone looking for a home in Lebanon or the surrounding area. Wes Wentworth of Lebanon Green Real Estate couldn't have been more accommodating, knowledgeable and kind, and right now we couldn't be happier in our FIRST, beautiful home he found for us! My fiancé and I had been looking for years for a home ourselves, and began to get frustrated when we didn't find what we wanted. Friends suggested we get a Realtor if we were really serious about purchasing a home.Thank goodness we chose Wes because we had the most positive experience working with him! Wes only needed to show us a few homes, and during that time he got to know us. In addition to being super intuitive, Wes was always on top of every question we had, got back to us right away (even when he was on vacation, he always went above and beyond! ), CCed us on every applicable email, and kept us in the loop every step of the way. He handles his transactions with class and respect. My wife and I couldn't be more pleased with Gina. From providing guidance on what should be done to get the house in sellable condition, to handling the requirements for the sale, she made the process as painless as possible. 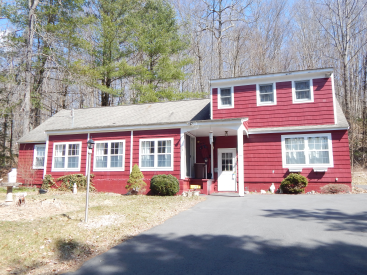 The house was listed 11/20/15, under contract 12/13/15 and a sale closed 01/22/16. I believe much of this was a result of Gina's efforts! Gina Wentworth is a fantastic advocate and great communicator. She was tremendously helpful to us and exceptionally professional as she navigated us through negotiations. Gina helped us navigate the process of buying a house in foreclosure. Once I contacted her for a showing, we were able to see the house the next day. She was in frequent contact with us and explained every step of the process to us in a way that was easy to understand. She was very willing to show us the house numerous times before we closed and was patient with all of our (many) questions! I would refer Gina to future homebuyers in the area. Gina was very responsive to my requests and showed me the property I wanted in less than 12 hours. She stayed on top of my offers and counter offers and shared information as soon as she received it. She is very even keeled under pressure and very calm mannered. Loved doing business with her and would highly suggest her to anyone looking for a home or property. Very helpful with finding homes in our price range and location. Worked very diligently during crunch time and got us into our new home! I would highly recommend her to anyone looking for specific homes. She is also very down to earth and understanding. She has been doing real estate in the area for many years. Working with Gina Wentworth has been a wonderful experience. She is very knowledgeable and knows all of the right questions to ask to ensure that you purchase the home that is right for you. Just an amazing and awesome personality! I chose Gina Wentworth as my agent to sell land in Lebanon based on her location. I had no prior knowledge of her, I found her name online. I could not have chosen better. She assisted me in listing, setting a price point, finding a buyer, negotiating the sales price and terms of the sale, and in closing. The deal closed very quickly. I could not be happier with her. I bought my house with Gina in 2000 and sold it with her in 2015. I found her to be an excellent realtor on both ends of the process. When I was looking for a house, she gave me options, got to know what I wanted, and was diligent in finding me listings to visit. On the selling end, her communication was excellent with me and other realtors and she generated traffic for the house. Gina made both processes very comfortable and I feel I got excellent service. I would also be remiss if I did not add Gina knows the market in this area very well. I strongly endorse and recommend her to others looking to buy or sell. ~ Jeff & Alexis C.
Gina Russo is a true professional. She was available at a moments notice, locally, for questions or meetings with us and our potential buyers. We had a "time is of the essence sale" and Gina made it all happen with little effort on our part. We had interviewed other agents before Gina, but her attitude and expertise out shined all the others. Mrs. Wentworth is down to earth and easy to relate to and made understanding the process of selling one's home in Connecticut simple. She has an excellent understanding of how to price a property and in doing so we got our asking price in a rather down-turned economy. I highly recommend Gina, whether your desire is to sell a property or purchase one. Not to mention she is located in the historic and lovely Lebanon Town Green area. Working with Gina to find our new home was a pleasure. She was very diligent about researching and showing us properties and always got back to us promptly when we contacted her. She is very knowledgeable about the area and had a good sense of what we were looking for in a property. She called us with a new listing she felt would be perfect for us and it turned out to be "the one." Since we are new to the area, she has been a valuable resource for local service providers as well. Five stars! ~ Marc & Stacy M.
Excellent knowledge of area and market. Gina is also very personable and makes the entire adventure better. I bought my first house with Gina and sold it last year with her. I highly recommend Gina. It was such a pleasure working with Gina. She set up many showings of my property and followed through with all. The closing went smoothly. Gina was very attentive and responded quickly to my phone calls and e mails. Gina was great during a stressful and emotional experience of selling and closing process of a home I loved. At times we have to make changes and move forward even when we don't want to. Gina was always supportive and very professional. I would recomend Gina as she assists anyone through the buying and selling processes! Gina Russo Wentworth was a pleasure to work with. She delivered all aspects of the real estate agreement as promised. Very responsive to my phone calls and texts and work very well with the buyer's agent. Offered helpful suggestions to make home "sellable" and was patient and understanding with all my questions. I would highly recommend Gina and Lebanon Green Real Estate.